Rare opportunity to own the former Bargain Bills retail location with 31.9 AC of land. The offering consists of three buildings totaling 46, 920 SF. The original build with 19, 920 SF was constructed in 1990. An addition with 19, 800 SF was added in 1998 and an outbuilding with 7, 200 SF was added in 1993. The building is pre-engineered steel, 12' to 13' sidewall height, 12' to 15' interior clear height, 24' and 30' column spacing, sealed concrete floor with fluorescent open ballast lighting. Large tract of land within the City limits with all city services accessible. Perfectly suited for a retail center or industrial use. Property fronts on Highway SS and has rail and road access to the west side of the property. This property is level and shovel ready for your development. Site is located in the beautiful Red Cedar River Valley and the City of Rice Lake and part of TID 4 (Tax Increment District Four). The development potential is unlimited. 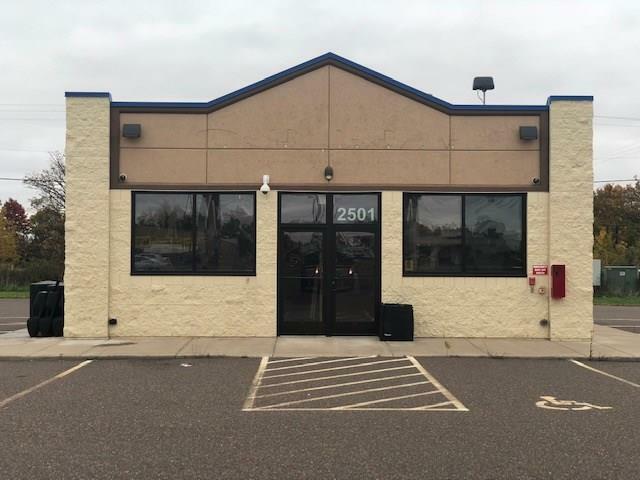 Great opportunity to purchase a 19, 800 SF building in Rice Lake. Sidewall height 14’ - 18’ / interior clear height 11’ - 15’ / column spacing 44’. Features include a single loading dock, drive thru door, two restrooms and cardboard recycling compactor. Parking lot that could support over 100 vehicles is shared with the Flooring Store directly adjacent to this building. The property features single-phase electrical, four rooftop HVAC units and private well and septic tank. Lake Montanis luxury living awaits! Enjoy beautifully detailed interiors with an airy design abundant in natural light. The main floor features exquisitely finished living spaces, cathedral ceilings, formal dining, gourmet kitchen with granite counters & custom oak cabinetry. The spacious master suite offers elegant amenities and custom tile steam shower. The lower level boasts a family room with bar, game room, fitness area and lakeside walkout. This well-appointed home also features a well-designed upper level home office with 360* views, spacious bedrooms, beautifully landscaped outdoor areas, private setting, level frontage, paved driveway, attached 3 car garage and lakeside deck with unobstructed views. Business and real estate for sale. Property is in very good condition and business has never been better. Sellers retirement is your opportunity to own your own business and continue the great reputation that has been established over the past 40 years. There are two buildings of 2, 900 SF and 1, 280 SF with five overhead doors. All equipment necessary to continue business is included in the price. Just North Of Rice Lake! Just done the road from Lynndale's golf course. 30 Acres Of Private Waterfront! Own A Half Mile Of Frontage On Tuscobia Lake. This Massive Parcel Is A True Rare Find! Very private cabin on Bear Lake with a wonderful western exposure providing amazing sunsets. This 3 bedroom, 2 bath cabin is located on almost 2 acres at the end of the road. The elevation to the lake is gently sloping and a gazebo awaits to provide relaxation close to your dock. The great room includes a living room with woodburning fireplace, dining area, and a very large kitchen. Every room in this cabin provides wonderful views of the lake.